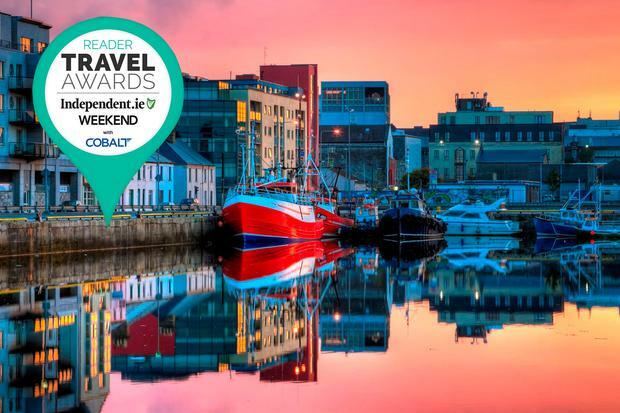 Galway: Ireland's favourite home holiday destination, as voted by you in our Reader Travel Awards 2018. Galway's food scene is booming. It's a sensation as much as a city. Even the word 'Galway' spreads smiles on faces. From its flurry of summer festivals to Ireland's hottest food scene, Galway's trick is to squeeze the cosmopolitanism, creativity and college life of a big city into the intimate streets of a small town. You voted it Ireland's favourite home holiday destination in our 2018 Reader Travel Awards, and our judges were not surprised. "The moment I get off the bus, I get this buzz," as one reader put it. And that buzz is growing. 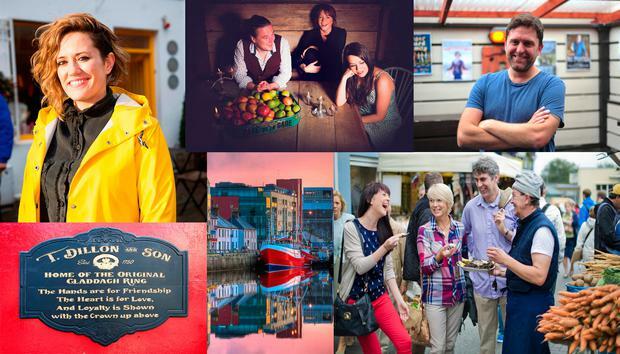 This year, Galway becomes Ireland's first European Region of Gastronomy. The West End is blossoming. Food and coffee joints are popping up like mushrooms, and there's even an Ed Sheeran-inspired 'Galway Girl' tour... yet stalwarts like its market or Druid Theatre feel as central as ever. Pól Ó Conghaile in Charlie Byrne's book shop. Depth and richness underscore temporary trends, in other words - one reason Galway will be a European Capital of Culture in 2020. I also love that Galwegians neither big their city up nor talk it down. Food and tourism folk realise its problems - from festival excesses to snarling suburban traffic - but by and large they work together. Confidence in the City of Tribes has hit the sweet spot. 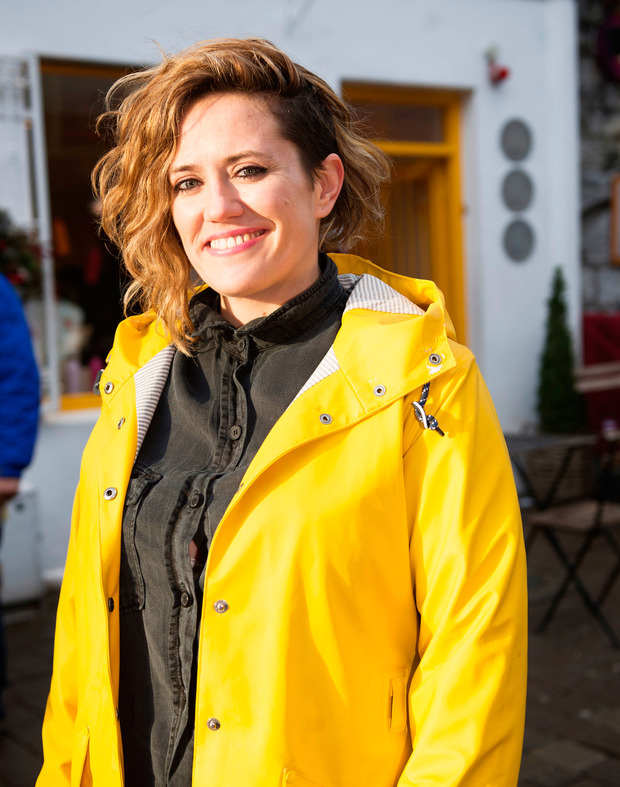 "One of my favourite things to do is to grab one of those elusive tables outside McCambridge's or Tí Neachtáin's, stay for far too long and take in the colour and vibrance," says Miriam Kennedy, Fáilte Ireland's Head of the Wild Atlantic Way. Hers is just one local insight that makes me want to head west this minute. 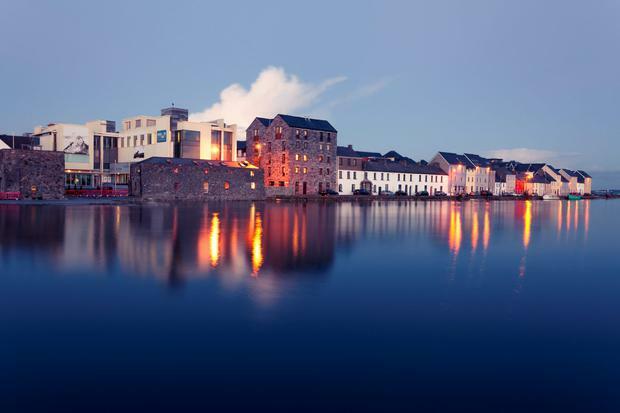 Galway is a European Region of Gastronomy in 2018, and one of the hottest food scenes in Ireland. Sheena Dignam runs Galway Food Tours (galwayfoodtours.com). Here, she takes us through her own personal favourites. “There are two places I love for a coffee — Urban Grind (urbangrind.ie) in the West End, and Coffeewerk + Press (facebook.com/coffeewerkandpress). I’m up quite early, so it’s usually quieter at that time of the day, and Coffeewerk is set in a beautiful building overlooking Quay Street. “If I were feeling peckish in the morning, I would go to McCambridge’s (mccambridges.com). They have great healthy things to eat, like homemade granola you can take away. I’m biased here, but I think my husband makes the best cakes! He works in Kai (kaicaferestaurant.com), so if I wanted to treat myself to something a little indulgent, I’d go there. Or also Cupán Tae (cupantae.eu), where you can get a great courgette and lime bun, made with matcha tea. “I really like the story of Yoshimi Hayakawa’s sushi. 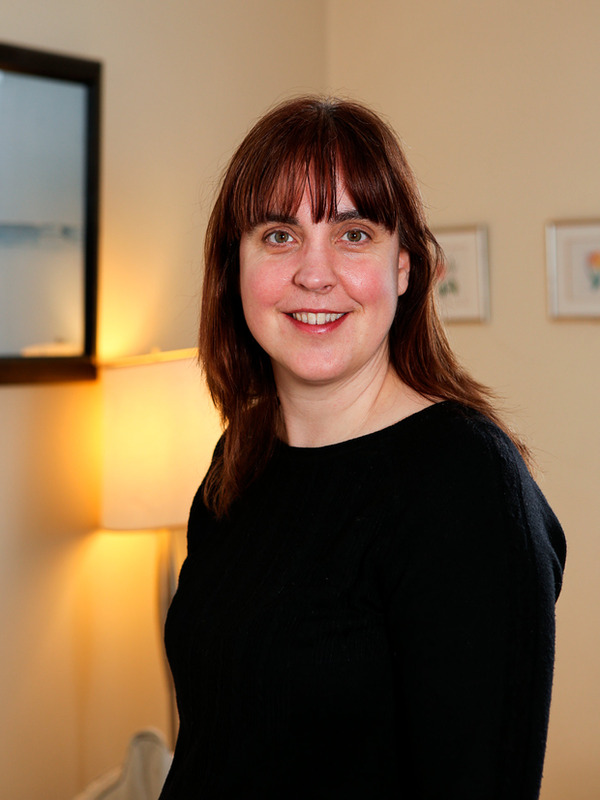 She introduced sushi into Galway about 15 years ago, when it wasn’t the most popular thing to be eating. Her use of Irish, local ingredients at WA Cafe (wacafe.net) is really great — turnip and smoked mackerel, for example. It’s really popular on my tours. “I also love sampling oysters on a Saturday morning, with Michael Brown at the Galway Market (by St Nicholas’s Church). He’s been selling oysters there for the last 20 years, and he serves them in buttermilk. I know it sounds a bit strange, but it works really well. “For a casual lunch in the city, I really like Ard Bia (ardbia.com). I think they have fantastic produce, and I love the way they change their menu — they have about five specials a day, and when they run out there’s no more. “If I were going for a pint, I would go to O’Connell’s (oconnellsbargalway.com) or Neachtain’s (tigh neachtain.com). They’re both beautiful old pubs, but still have a bit of a modern slant to them and visions that I really like. They also support a lot of small microbreweries, like Soulwater (soulwaterbeer.com), who make an almond milk stout beer, Cosmic Cow, just for Neachtain’s. “What really stands out within the Galway food scene is the mutual support of all the restaurants, producers and suppliers. We’re all working towards the same goal. There’s such energy around the food, and a respect regarding the sustainability of what we eat. On practically every menu in Galway you’ll see a reference to the producers making the ingredients. “I also work in Kai, and when producers bring something new through the doors, Jess (Murphy, the head chef and co-owner) gets really excited and wants to support them all fully and get behind them. I really think that’s something that goes across the board with all chefs and producers in the city. Gugai MacNamara is co-owner of the Róisín Dubh, the renowned bar and music venue on Dominick Street, in the heart of Galway's West End (galwayswestend.com). "It's been huge, what's been happening to Galway and in particular the West End over the last few years. Some of the best restaurants in Ireland are down around us now. There were a lot of empty shopfronts when we first started with the Róisín Dubh (roisindubh.net), 14 years ago. They've now been opened up, and there's a real nice vibe down here. Most of my favourite places are in the west - I barely cross the river after 6pm. "One of the best brunches in Galway is in Dela (below, dela.ie). If I'm having a cup of tea in the morning, that's where I like to go. They do an amazing brunch burrito and also an incredible crab, smoked bacon and potato cake. They do brunch every day now, which is really great for people who work in the entertainment industry because it means they can actually have it! It's a lifeline for people who work late nights and weekends. "Bell Book and Candle (901 589060, or see facebook.com) is always great for secondhand books and records. I really love that shop - you never know what you'll find in there. Ernie's the grocer (6 Sea Road) is, of course, legendary. There's a lovely little art shop that's just opened on Dominick Street as well, called Just Art It (facebook.com/justartitgalway). They do art classes and sell prints, paper and art supplies, it's a really lovely little set up. "The Róisín Dubh itself has been around about 30 years. We expanded on it back in 2006 and made it a bit bigger. It would be one of the cultural hubs for the west of Ireland. There's an awful lot of live music, comedy, a monthly short film showcase, a really big open mic night and late night club nights every night. There's always something happening! "Two of my must-eat places for dinner are JP McMahon's Aniar (below, aniarrestaurant.ie), a Michelin Star restaurant that you'd need a whole evening for, and Il Vicolo (ilvicolo.ie), which is in one of the most beautiful locations in Galway on the bridge. It's a Sicilian-inspired restaurant with a superb menu and excellent wine list. "For a pint (somewhere other than the Róisín, of course!) I love The Blue Note and Bierhaus (bierhausgalway.com) - it's famous for sandwiches; they used to do an amazing banh-mi but it's gone now. The lads from Bierhaus have also just opened The Universal (facebook.com/Theuniversalbar), with an incredible menu - they do evening food. They do a dish with kale, mashed potato and pudding that's divine, and they've a gorgeous hot and sour dumpling soup, amazing cocktails and a great wine and beer selection, too. We've got a great relationship with Bierhaus and The Blue Note. "The Crane (thecranebar.com) is one of the best trad bars in the country, too - we do a lot of work with those people. When one place is busy in the west, it's better for everyone. There's a nice sense of community here." It will be European Capital of Culture 2020, but Galway has a longstanding rep as a cultural hub. 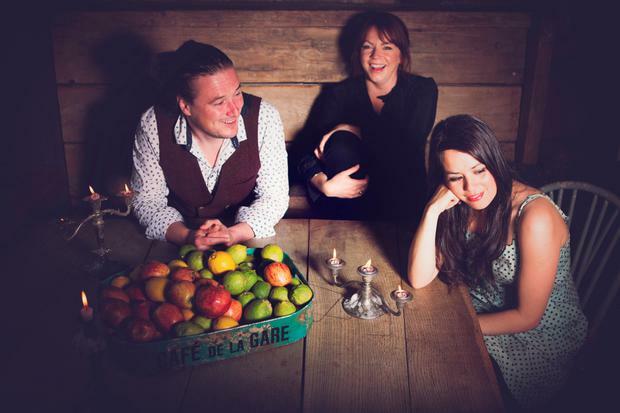 Nicola Joyce was born and bred here; her band The Whileaways (thewhileawaysmusic.com) release a third album this summer. “I used to travel all the time with music, but Galway was always my home. You’d look forward to coming back and meeting other musicians, and sitting in on someone else’s session. The sessions here are always very welcoming, not a situation where you would ever feel like an outsider, or like you couldn’t join in. “Galway has always been a very artistic place. It’s a city of the arts, and it’s been known as that for a long time. There’s always been a strong music, art and theatre scene, and I think that it continues to build all the time. It changes, of course, but I think it just keeps getting stronger. “I think you can be inspired by a good meal as much as you can by the river, or a walk by the sea, or a good gig here. There’s great creativity in the food scene, too, and that’s inspiring on all levels, for lots of people. It all feeds into it. “There are lovely new places popping up all the time. 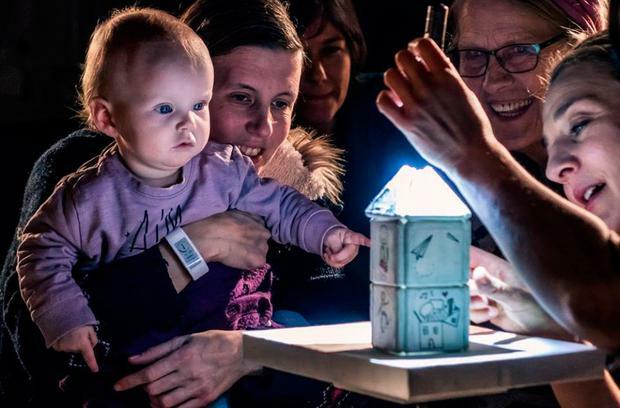 The Black Gate Theatre (blackgate.ie) has all sorts of lovely cultural events, for example, from poetry to film, with lots of music, too. They’re very supportive of all kinds of new music. There’s also a lovely new folk club initiative running in the gorgeous Mick Lally Theatre (druid.ie/the-mick-lally-theatre) called the Druid Sessions. “In the summer, it’s just festival after festival after festival. It’s fantastic, there’s just a buzz all the time. 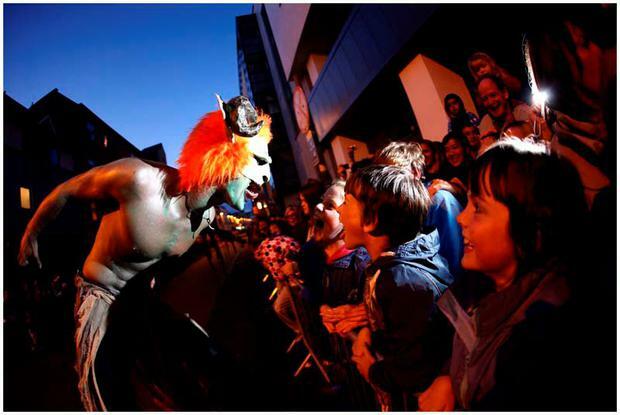 The Galway International Arts Festival (giaf.ie) is a favourite, of course, for its diversity and the international element to it. The Galway Jazz Festival (galwayjazzfest.ie) is growing and growing, and they have put together a really interesting programme that’s quite new, but is building all the time, bringing really quality international acts into more unusual venues. “This year I went to a little concert upstairs in Moloney’s music shop (moloneymusic.com), which is not a place you would expect to hear a really intimate little concert. 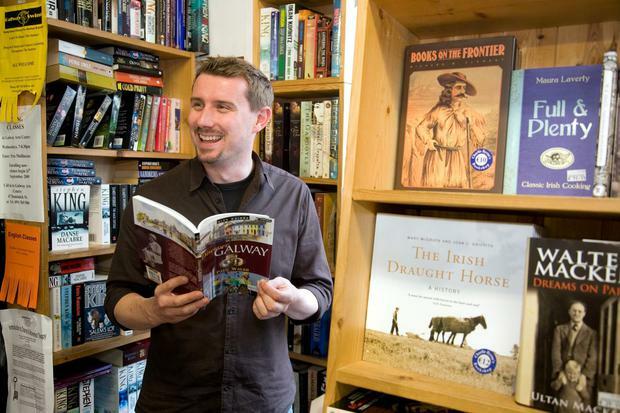 “I think that the sea and the river have something to do with the cultural success of Galway. I think the fast flowing river that runs right through the heart of Galway city brings with it a constantly changing energy, and there’s life there, always. It’s a place where people want to be. Only open during the week, the Zoology and Marine Biology Museum at NUI Galway is a bit of a secret fun place to take the kids. It's also home to three of the specimens that Darwin collected from his original voyage on the Beagle. nuigalway.ie/visitorszoologymuseum; free. There's more in Salthill than just the aquarium! We designed three walking trails with Fáilte Salthill, and you can download the PDFs from mykidstime.com. It's a pleasure to walk down Shop Street with the kids because there's always something going on (and it's pedestrianised). There are always buskers, entertainers and musicians… there's a great guy with puppets, look out for him too. “The Claddagh Ring is synonymous with Galway. It was designed by Galway man Richard Joyce, who was captured by pirates on his travels and sold as a slave to Algeria. While there, he designed the ring, which represents the motto of the Claddagh — love, loyalty and friendship. “Joyce’s descendent, Jonathan, is still in Galway today and he himself is a goldsmith selling the Claddagh ring in his shop, Thomas Dillion’s Claddagh Gold (claddaghring.ie). Not only that, but half of his shop is devoted to one of the most unique museums in Ireland. It’s tiny, and it has the smallest Claddagh ring in the world on display — you can see it through a magnifying glass. It’s a wonderful, incredibly unique museum. "Only about six or seven people can fit in it at any one time! “Nora Barnacle was born into a poor house in 1884, then raised by her grandmother at No.8 Bowling Green in the heart of the city. After some young love affairs, she moved to Dublin where she met a chap called James Joyce and began a tempestuous relationship. Their first date was on June 16, the date he later chose for the setting of Ulysses, now known as Bloomsday. “Why is it called the Spanish Arch? After the failure of the Spanish Armada in London, the Spanish fleet sailed around to the west coast of Ireland, without navigation or charts. A lot of the boats washed up on the shorelines, because the weather was very rough, and 300 Spanish soldiers were washed up near Galway. They were hanged where the Spanish Arch is today. “At St Nicholas’ Church, you’ll notice there are only three clocks on a four-sided clock tower. Why? It dates back to an old dispute between Rich Blake, a merchant who owed a lot of money around the town, and the council, who were building the clock.